September, with its temperatures that can swing 40 degrees in 48 hours, is flying by. If I look at my calendar too far ahead, I get palpitations, so I’m trying to be in the moment as much as possible. I don’t want to miss anything in my haste to get through a month that is chock full of events and activities. Yoga helps. When it comes to my practice, I’m happy to take a variety of classes. 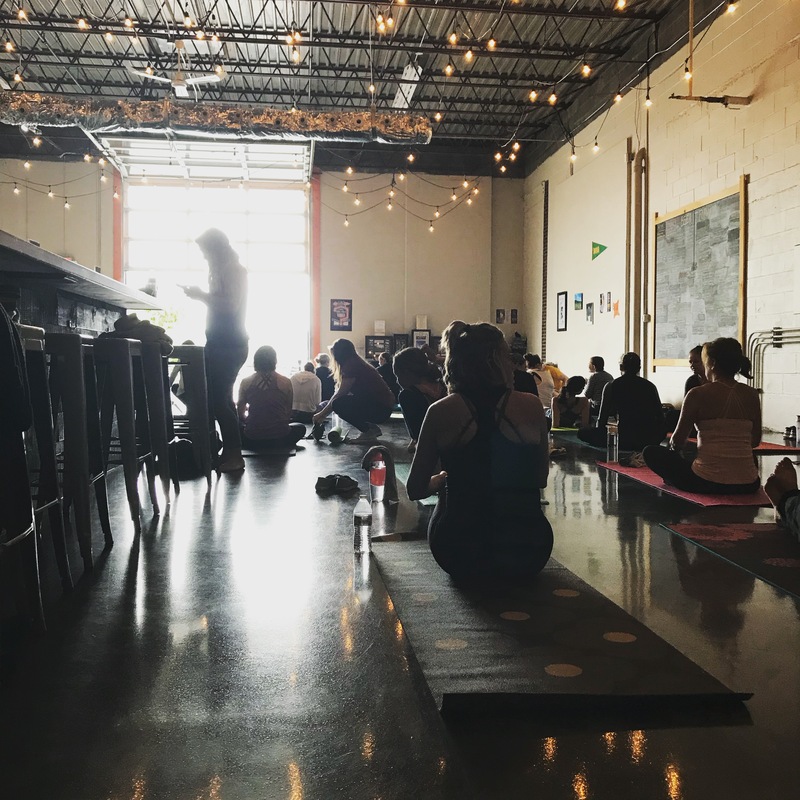 Fortunately, The Hot Yoga Spot is always upping their game and offering classes in cool new locations – like June Farms or, as I experienced Sunday, the Warehouse District’s Fort Orange Brewing. Class (approximately 60 minutes) was a total bargain at $12, including a beer. I arrived about 10 minutes early and grabbed a spot in the rear, away from the open garage door that faced the street. Our instructor was terrific – her voice projected well and despite a lack of mirrors, her vocal cues kept us all engaged and focused. Although I’ve probably been guided through chaturanga to upward dog dozens and dozens of times, something clicked for me during yesterday’s practice. I finally, while in plank, shifted my body forward before bending my arms and the flow was completely different. It felt awesome. Today, my arms and shoulders feel tender, a sensation that I welcome as evidence of my need to use those particular muscles more frequently. The cool evening also provides me with the ideal excuse to take an indulgent bath. Win-win. I’ll be stretching those traps and triceps again this Saturday at the 2nd annual Yogapalooza. See you there?